Mann's Anit-Microbial cabin air filters are their newest offering with enhanced filtration over all other cabin air filters. These filters offer 3 layers of filtration. The first layer is a particulate layer to filter airborne particulates such as road and brake dust, pollen, and more. The second layer is an activated charcoal layer which filters harmful odors and gases such as sulfur dioxide, nitrogen oxides, and more. The third and final layer is Mann's new biofunctional layer which filters allergens and prevents mold and bacteria from forming on the filter media. The air that flows into your vehicle through the ventilation ducts while driving may contain up to five-times more exhaust gases, pollutants and allergens than fresh air. 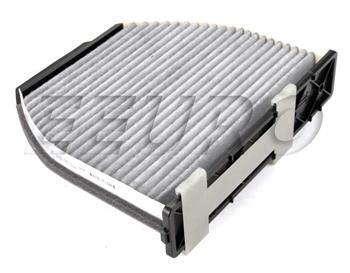 The only barrier between these harmful pollutants and the occupants of your vehicle is the cabin air filter. and headaches. With FreciousPlus, the occupants of your vehicle will have something to smile about. If this is not the exact Cabin Air Filter (Anti-Microbial) you are looking for, or you would like this part in a brand other than MANN-FILTER, please contact us and one of our customer service experts will help you locate the exact part you need. eEuroparts.com® proudly offers wholesale prices and fast shipping available on most orders. 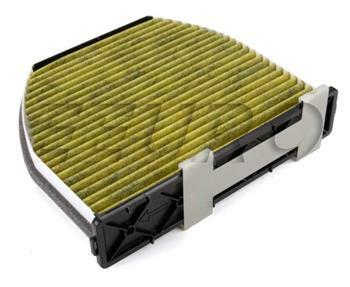 We also provide inexpensive and guaranteed 3 day, 2 day, and Overnight shipping options, so if you need your Cabin Air Filter (Anti-Microbial) tomorrow, eEuroparts.com® can deliver! Every eEuroparts.com® order is track-able, meaning you'll know exactly where your Cabin Air Filter (Anti-Microbial) is at every step of the shipping process. eEuroparts.com® also displays your Expected Ship Date and transit time in your Cart, making our entire shipping process simple and transparent.